I don’t care much about football. For me, the gridiron is really just an excuse for tailgating—a flimsy motive for throwing burgers and sausages on the grill and beginning to drink before noon. Of course, beer and Bloody Marys are de rigueur on game day. But beer fills me up, and I can only drink one bloody before becoming a hazard to myself and others. So, I prefer to drink wine, even with tailgate grub. Here are a bunch of bodacious budget wines that will fit in perfectly with your next parking-lot party. 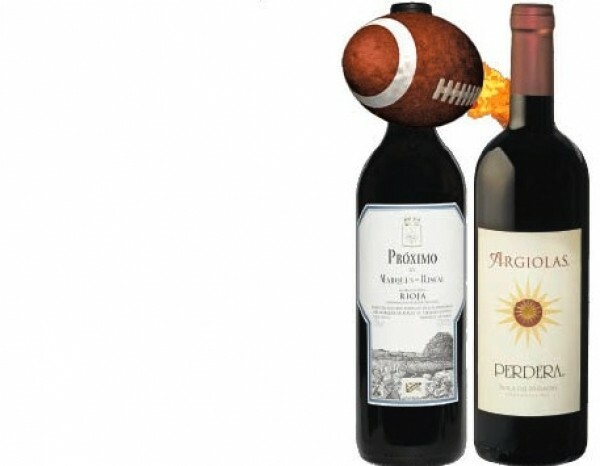 Spanish wines are generally a good value, and these three are ideal for tailgating, be it for football, soccer or a bullfight. Viñanas 2010 ($7.99) is a Spanish red wine, a blend of Garnacha and Tempranillo from Valencia. So, it’s a natural accompaniment for the signature food of Valencia: paella. It’s light enough, and relatively tannin-free, to drink with seafood and chicken paella, but still hearty enough to stand up to chorizo and smoked paprika. Spain’s Marqués de Riscal has been making Bordeaux-style wines in Rioja since 1858, and they’re among the world’s most popular wines for quality and price. Próximo ($8.99) by Marqués de Riscal is mostly Tempranillo (93 percent) with some Graciano and Manzuelo tossed in. It’s a silky, easy-drinking red that has hints of licorice. I’d pair it with steaming pots of gumbo or jambalaya if you’re going Cajun-Creole on game day. Lanzos ($9.99) is a 50/50 blend of Sauvignon Blanc and Viura grapes harvested in Spain’s Castilla y León region. It’s a crisp, dry white wine with guava, grapefruit and nectarine notes and a good match for grilled cheese or shrimp quesadillas. Italy’s Argiolas Perdera Monica 2009 ($18.07) is a terrific foil for spaghetti & meatballs or spicy Italian sausages from the grill. It’s a robust, full-flavored blend of 90 percent Monica grapes and an even 5 percent each of Carignano and Bovale Sardo—earthy and well-balanced with medium-high acidity. Chili con carne is a prototypical tailgate food, and I’d be hard-pressed to find a better wine match for a big, hot bowl of steaming chili than St. Francis “Old Vines” Zinfandel 2008 ($21.53). This Sonoma Zin might be a little beyond the typical tailgate booze budget, but trust me: It’s worth every penny. Culled from vines that are at least 50, and often more than 100, years old, St. Francis “Old Vines” Zinfandel is a big, bold high-alcohol (15.5 percent) Old World-style red that bursts with ripe black-cherry and licorice flavors. Be sure to have a designated driver nearby with this juice. Creamy, mayo-spiked potato salad is a signature tailgate dish, and I’d look for an inexpensive Chardonnay to sip alongside. My pick would be a bit out of the box: Shoofly Chook Raffle Chardonnay 2008 ($8.06), from Australia. In fact, this Aussie Chard is versatile enough to drink with everything from a charcuterie platter of mixed meats and cheeses to that most popular of game-day necessities: chicken wings. A new item in the state of Utah is Serenity ($11.96), an interesting estate-grown white wine from Brassfield Estate Winery, which recently enlisted the skills of renowned winemaker David Ramey to dial in their wines. It’s an exotic Pinot Grigio/Sauvignon Blanc/GewÃ¼rztraminer blend that would pair well with diverse tailgate eats like grilled weisswurst or guacamole and chips. If tailgating is mostly about meat, I’d select a meaty wine from Argentina to drink with grilled steaks, brats and burgers: Bodega Elena de Mendoza 2010 Red Blend ($10.99) is a hearty mix of Malbec, Syrah and Bonarda that can hold its own on the scrimmage line with beef and barbecue. Go Utes!